So make sure to tune in between 10 PM and 11 PM ET for our Enemy Within recap! While you wait for our recap make sure to check out all our television spoilers, news, recaps, videos & more, right here! Tonight’s Enemy Within recap begins now – Refresh Page often to get the most current updates! The Enemy Within begins with Erica Shepherd (Jennifer Carpenter) standing in her cell, when she sees the Agent on the phone she decides to place a call on her cell phone. Erica Shepherd CIA Deputy Director of Operations walks into the office talking to Anthony Cabrera (James Carpinello) Operations Team Leader where she tells the team led by Steven Haibach (Elliot Villar) that operation is go. Desiree Villareal confirms that Langley gave them the “go ahead”. Erica reminds them the passports are the key to finding Tal and Desiree walks into the building. There are 4 guards inside but as Desiree approaches the room, she tells them she is from the Internal Audit Ministry and has been asked to look over all government-issued documents. She retrieves a file and leaves the room without issue but a guard orders her to stop, demanding her papers. He wants her to open her briefcase as Erica tells her to get out as she has been made. She hits the guard with the case but has to fight another guard. A gunfight ensues, she doesn’t know if she can get out but continues shooting as she attempts to escape. Steven Haibach rushes out of the van but Desiree is able to confirm she is safe and has the papers in her lap; promising extraction within 24 hours. The Agency congratulates each other for their win. Erica wakes up to Hannah eating breakfast, suggesting her mother make her some eggs; but she says she will when she learns. She quickly gets Hannah out of the house, who bugs her mother about watching her play her game. Erica talks about how the rebels are taking over; she is frustrated that the agency isn’t budging. She wants to confirm that Cabrera is working on the extraction and doesn’t want any complications. Erica is walking when her assistant gives her the phone after receiving a call from her school. Erica is confused as she dropped Hannah off at school; she races home where she finds another cellphone. Tal calls her, saying he is watching her daughter; taunting her about how proud she is. He wants the names of the intelligence agents, she pleads with him to wait but he begins to count and screams out their names. She gets into her car shouting out Tal’s name, not knowing if her daughter is alive. Erica drives around, calling Hannah’s phone to no avail. She drives to the park after tracking Hannah’s phone, even ignoring calls from the office. She checks the bathrooms, calling out Hannah’s name; she finds a homeless man in the men’s restroom but no Hannah. She discovers Hannah’s phone in the garbage then chases people through the park asking if they have seen her. A woman says that she saw a girl with a pink backpack and left with police. Erica calls the police trying to explain the situation but the police tell her there is no record of any of their officers picking up her daughter. She says, “He has her!” as they ask if she wants to file an Amber Alert. Erica takes a call from Cabrera who asks if she has heard anything, or if she has any reason to believe their agents have been compromised. She orders him to pull them out now! Steven and Desiree run to their car, but when a delivery truck stops in front of them, they open fire. As they attempt to escape again they are pinned between the truck and a garbage bin; the briefcase is taken as a gun is aimed at both agents. Everyone waits for word with Cabrera learning there has been no response from the agents. He needs them to find their assets and send them over immediately to the location. As Erica is driving a police car follows her with Hannah in the back, it is clearly not an officer as the driver has neck tattoos. The female passenger receives a call. Cabrera calls Erica, revealing Desiree and Steve are both dead; she says it is Tal and hangs up when he questions her on how she knows. She parks outside her home banging the steering wheel. Cabrera learns they can’t get a hold of their handlers either. Erica calls Cabrera revealing she believes one of their teams has been compromised, ordering him to get them to safety immediately by any means. Erica drives off again, where she goes to a warehouse, a man follows her inside and she stabs him in her neck demanding to know where her daughter is. She tells him if he doesn’t tell her where her daughter is he will die. He confesses that two people dressed as police have driven Hannah home. Erica races home where Tal greets her. He tells her that her daughter is safe and suggests she doesn’t make any threats. He tells her if she asks about her daughter again, he will have Hannah’s eyes plucked from her head. He came to America because of her. She needs to work for him or her country is going to see her as a traitor, she will lose her very existence and never see her daughter again. It is very inevitable. He has many adversaries in his life, but no one came close to stopping him as she did. He wants her to remain working for the CIA and feed him intelligence directly from her country and he promises to save her from the cage and Hannah will be safe. He wants her to think about it, wanting her to feel the noose tightening around her neck before she answers. He wants her to see beyond the hatred and see salvation. Before he walks out, he says Hannah is upstairs and doesn’t know about any of this other than she has been caught skipping school. Erica runs up the stairs and hugs Hannah, who apologizes because she wanted to meet a friend in the park; Erica is happy she is safe. She lies about the blood, saying she cut herself in the car. Hannah looks confused, saying it was the police so of course they didn’t hurt her; they simply brought her home for skipping school. Erica asks for a few minutes to call the school and excuses herself. She only gets a voicemail and begins to cry; understanding the magnitude of what she told Tal. Will Keaton (Morris Chestnut) finds Daniel Zain (Raza Jaffrey) about a case. Will wants him to call and find out what the hold up is on a possible homicide case. Director Meyer arrives wanting to talk to Will in private. Once in his office, he learns there was an incident that about an hour ago a private jet has gone missing and foreign authorities confirm it went down and killed everyone. They offer their condolences when they reveal Lane was on that flight. Daniel watches as Will punches and throws things around in the office, learning the devastating news as well. At the FBI building, Will reminisces about his and Lane’s time together, including their engagement when Daniel walks into his office, wondering if Will slept in his office last night. He says not that night. Daniel tries to talk to him, as Will gets hostile, wanting to know what he has to do; but all he cares about is getting to the person who killed Lane. He says the Director of the CIA is briefing him on the attack, as he puts his jacket on, Daniel tells him he will go with him. They are greeted by Anthony Cabrera, who escorts them through the building and into an office where Erica is standing. Cabrera says they are willing to do everything in their power to find the killer. He says all the attacks were coordinated and within half an hour of each other, but there is no indication that Tal’s operatives were in communication with each other. They have a theory about Tal exploiting these agencies in order to locate their people and that was how he was able to take them out so quickly. Erica says these operatives were killed for retaliation for an operation that took place in 2015; saving thousands of people from 20 planes being bombed. Will wants a complete list of people who knew about this operation and Erica tells them Cabrera will help them with it. She offers her condolences to Agent Keaton before he leaves. 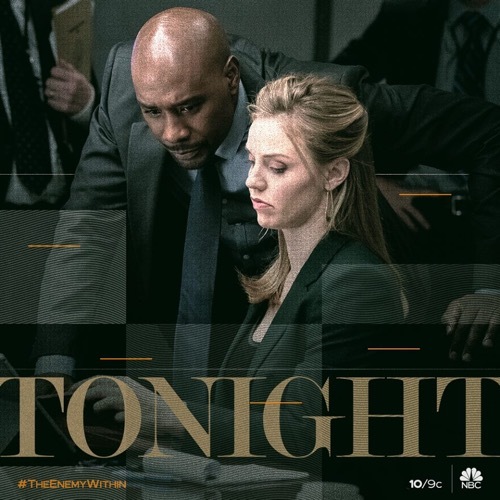 Back at the FBI building, Will shows them who their 12 people are, calling them “suspects.” They quickly start working on the case, including Erica who is up on the board; but they slowly eliminate everyone but two. Kate Ryan (Kelli Garner) is able to confirm that it only leaves Erica Shepherd. Will rushes to the door but Daniel reminds him they need to do this one by the book because they don’t have proof. Will says he just wants to talk to Erica. Will sits as the photos of all the agents that were killed is on display. Lane’s parents miss him, saying he can still visit as things haven’t changed. Will tells them how the memorial service is going to work and Lane’s name will go in the book of honor as her star is already on the wall. Her dad is frustrated that he gave the CIA his daughter and they give him a star. Will excuses himself when Erica arrives, asking about the Tal investigation; but she says she can’t reveal anything. She learns Will is still heading the FBI side of things but will only tell her the gossip that Tal was working with either the Russians or an American and whoever it is they should be worried as he will find them. She tells him she is confident that he will. Hannah is told to go to bed by Erica, who says she needs to go to work early in the morning and she isn’t going to be rushed again. When she learns Hannah didn’t do her homework, Erica reminds her that she is 13 years old and demands to know why she needs to tell her to go to bed nor remind her to brush her teeth. She shouts that Hannah needs to start taking care of herself but quickly apologizes for yelling. She says she won’t always be here to take care of her and she needs to learn. She tells her to do her homework and leaves the room. Kate runs down the hallway to Will’s office, saying he was right about Erica Shepherd. She gives him papers showing that they got the subpoena for the phone records and got them that morning. Erica was using her daughter’s cell and there was one incoming call from a Tal associate the day of the attacks; less than an hour before the first death. Will is certain they got her and wants to know where she is. Erica is walking along the riverside, noticing every little detail about people all around her. She receives a call from Hannah, saying she will meet her outside the museum entrance but as she continues down the walkway, Erica continues to feel jittery, observing everyone. She stops midway and turns around, realizing people are, in fact, staring at her; even taking her photo. She puts down her briefcase, gets on her knees as agents rush towards her. She puts her hands up as dozens of FBI agents raise their guns. Will approaches and orders her to put her hands up as he cuffs her. He informs her she is under arrest for espionage, conspiracy against the United States of America. He looks her in the eyes, saying he knows everything and her life is over. He orders them to get her out of there as she pleads for her daughter. She shouts out Hannah’s name. In her cell, Erica makes a phone call on her cellphone, giving a code she was given. The call goes through with Tal answering; who admits he didn’t think he would hear from her again. She says he made an offer to her 3 years ago and wants to know if it still stands. He doesn’t think she is in the position to help but she reveals Will Keaton and the FBI are closing in on him and she can help him. He wants to know why she would do this now? She refuses to die in a cage!